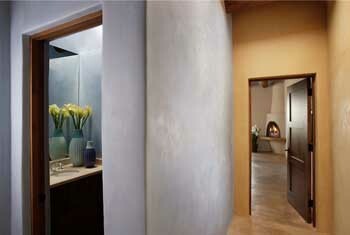 American Clay Earth Plasters are a natural, environmentally friendly way to finish any interior. Non-toxic and made in the USA, these plasters are an alternative to cement, acrylic and lime plasters, offering superior color, richness, texture and depth not found with other finishes. 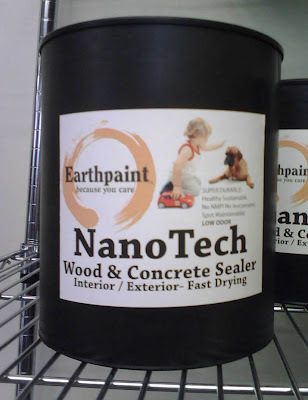 NanoTech is a semi-gloss, low VOC, interior / exterior wood finish and concrete sealer. It replaces polyurethane entirely, inside and out and is tough enough for driveways and garages! This finish typically has half the VOC and twice the square foot coverage of other premium finishes! Excellent on commercial, residential and gym floors. Spot maintainable and tintable. Recoatable in 30-40 minutes. Coats most glossy surfaces without sanding (test first). Copyright © - Greener Stock. All rights reserved.